To boost tourism, the Uttarakhand Tourism department is contemplating a Beatles’ museum at ‘Chaurasi Kutia’, the abandoned ashram of spiritual Guru Maharshi Mahesh Yogi at Rishikesh, where members of the world famous rock band The Beatles stayed in. Uttarakhand Tourism Minister Satpal Maharaj, announced on Tuesday that Uttarakhand Tourism department would develop a Beatles’ Museum at Rishikesh. The move was probably inspired by The Beatles’ Story museum at Liverpool in England from where the members hailed. The Beatles’ Story, located in a two-storey building, is a major tourist draw. The Beatles Story is also celebrating the 50th anniversary of The Beatles’ visit to India and Rishikesh next year. “A team from The Beatles Story had visited Rishikesh sometime back to finalise their programmes slated for next year,” said Raju Gusian, a Beatles’ fan and journalist who helped the team. The Rishikesh ashram situated in the Rajaji National Park was thrown open to tourists in 2015 by the Uttarakhand forest department, attracting thousands of visitors. The forest department now charges an entry fee from each tourist for their visit to the ‘ashram’. Each foreign tourist is charged Rs 600 and Indians have to pay Rs 150 per head. More than 10,000 tourists visited the ashram where the Fab Four composed songs for their iconic albums like Abbey Road, Let it Be and The White Album. The Beatles, an English rock band, stayed here in 1968 for an advanced transcendental meditation (TM) training session under spiritual guru Maharishi Mahesh Yogi. The legendary musicians — John Lennon, Paul McCartney, George Harrison and Ringo Starr — stayed in the ashram. 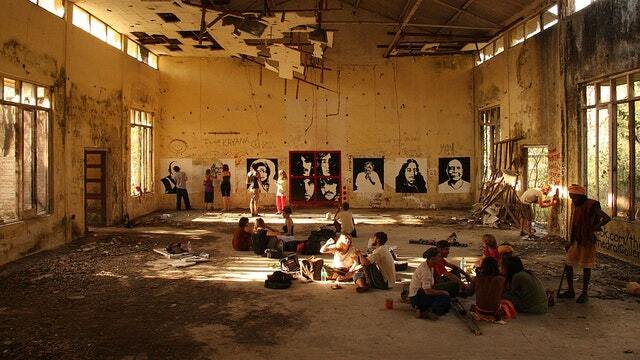 Unused for more than a decade after the lease of the spiritual guru expired in 2000, the ashram is being developed as an eco-tourism destination and a pilgrimage place for Beatles fans. The bungalow of Mahesh Yogi, where the Beatles stars learnt meditation, would be a major attraction. The walls have been covered by graffiti on Beatles and Mahesh Yogi to remind the visitors of the significance of the place. Mahesh Yogi was allocated 15 acre of forest land near Rishikesh for his ashram in 1961.The Indian spiritual guru became an international name after the four singers toured India to learn meditation in February 1968. The Beatles boys came to Rishikesh for a three- month course, but none of them completed it. Ringo was the first to leave after only 10 days. Paul stayed for five weeks while John and George left after eight weeks.